Oh appropriate. I just had to shoo Kitty Boy off my favorite chair. Maybe today is Animal Chair Day? Her silky fur and uncompromising stance; how are we as mere hoomins able to insist she stay off of the furniture? Best to just serve the carrotinis and raspberry coladas and accept our role as servants. That IS Princess Penny's throne. She usually sits under it, but sometimes likes to strike a pose. 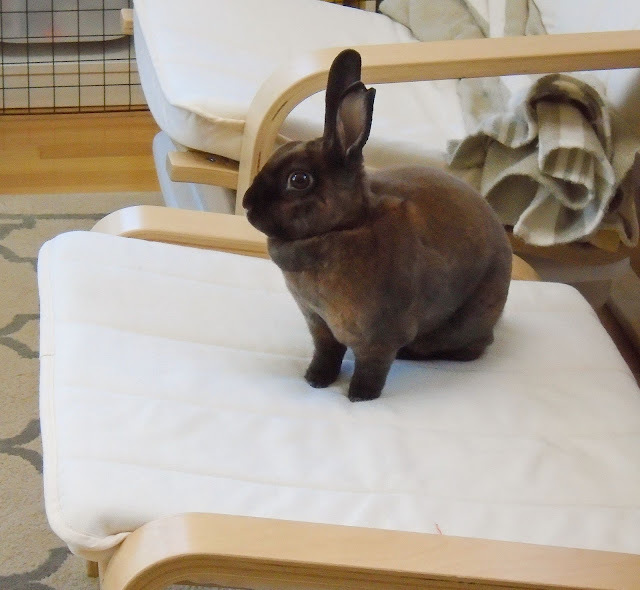 Of course the bunnies can sit on the furniture, but they prefer to be underneath most of the time!